Software Guide to understand complete working. 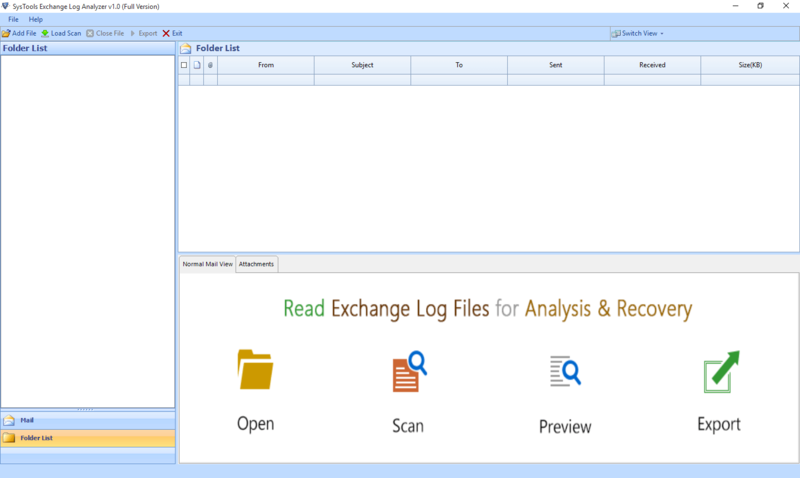 To use this Exchange Log Analyzer software, follow the below steps explained with example and also picture illustrations. Download and Install the software. It has a very simple GUI. Click on Add File from the header menu section. 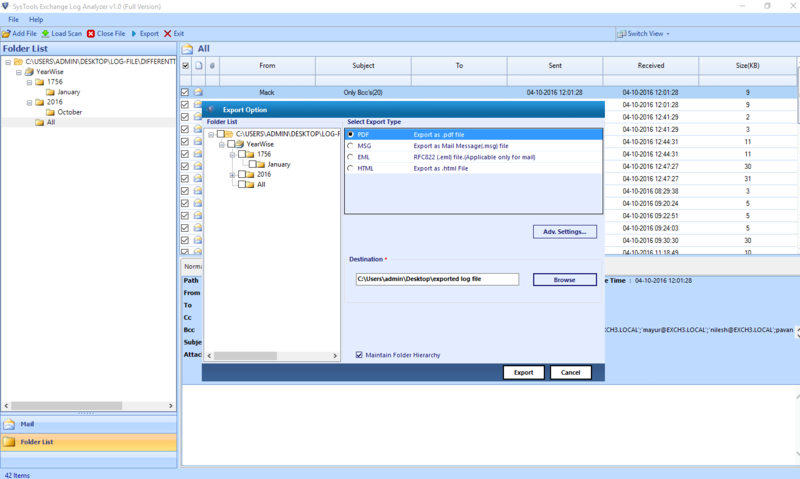 There are two options to Add file. 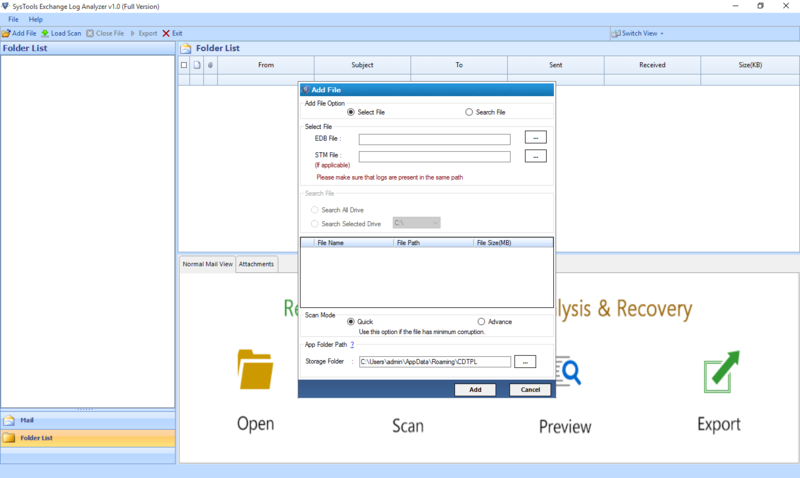 Select file- Using this option you can manually browse the edb file. 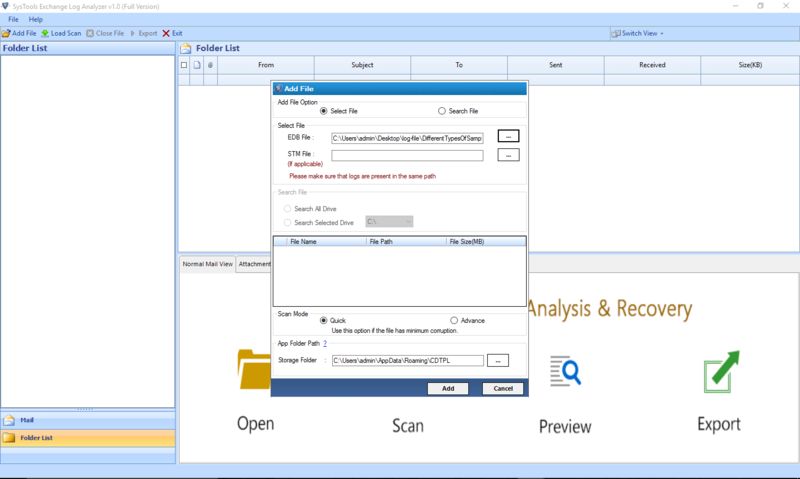 Search file- This option lets tool to find the file in a selected drive automatically. 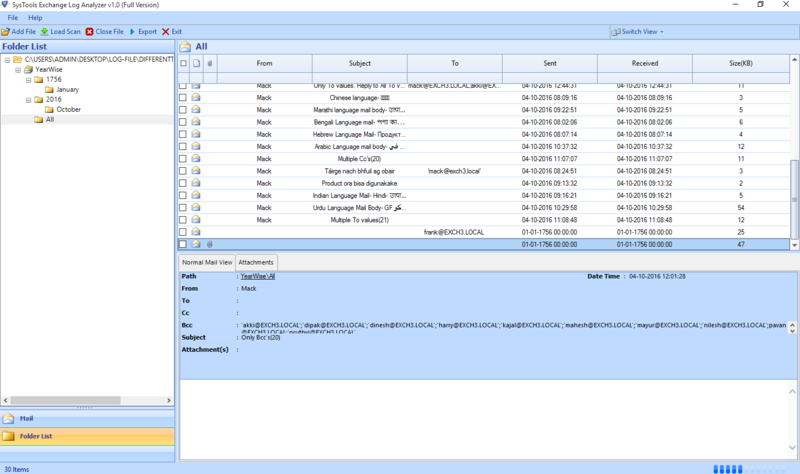 Get the preview of all mails & its attachments and calendars of selected edb log file. Click on Export. 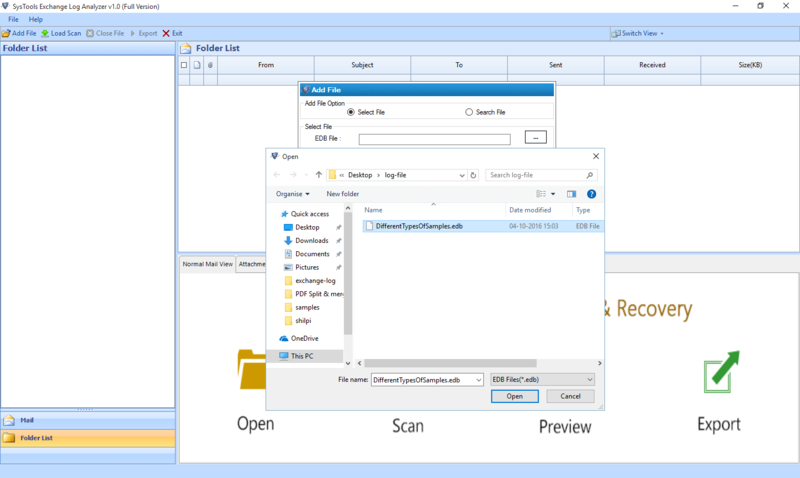 Select the File format in which you want to save recovered log file and click on export button. 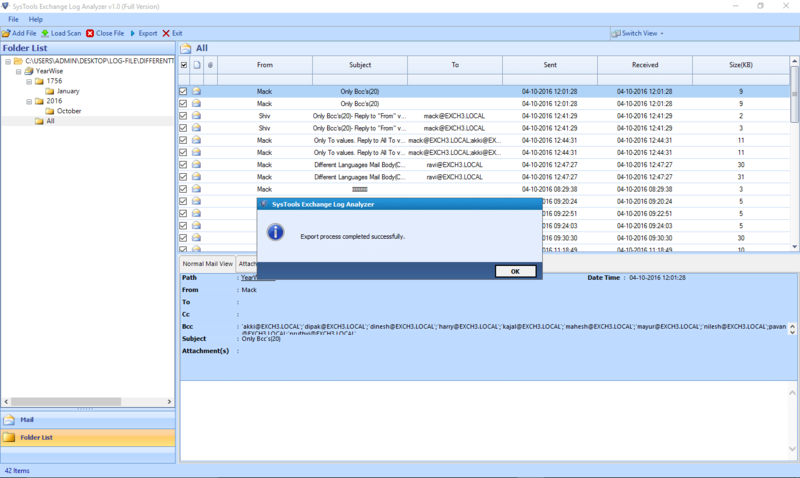 After completing the export, a message will displayed for successfully exported file.